Based in Los Angeles, Sharon Lockhart (b. 1964) is a photographer and filmmaker known for creating long-term projects based on intensive research, often in collaboration with communities. The origin of her most recent project, Sharon Lockhart | Noa Eshkol, goes back to 2008. That year, the Tel Aviv/Los Angeles Partnership of the Jewish Federation of Greater Los Angeles invited the artist to visit Tel Aviv to undertake research involving a possible cultural collaboration between the two cities. Lockhart subsequently traveled to Israel to conduct research. Her visit at the Noa Eshkol Foundation for Movement Notation and the scope of the multifaceted work of Noa Eshkol (1924–2007) as a choreographer, dance theorist, textile artist, and co-creator with Avraham Wachman of the Eshkol-Wachman Movement Notation (EWMN) system struck Sharon Lockhart as a perfect subject to explore in depth. In one of her next visits to Israel, Lockhart conducted research in the Noa Eshkol Archive. She also closely followed the daily activities of the small group of dancers who have continued to practice, notate, and keep Eshkol’s legacy alive. 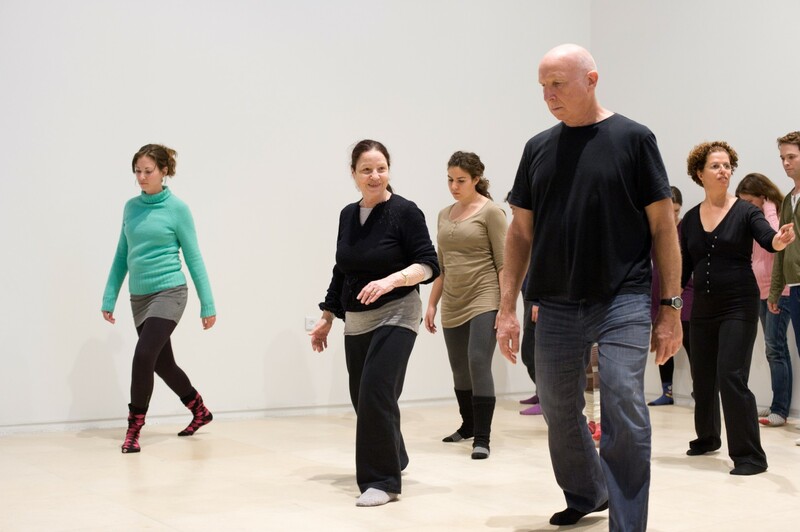 Fascinated by Eshkol’s conception of dance as a language, by her investigation of the spatial dimensions of movement, and by her and her students’ intense devotion to the perfection of the EWMN system, Lockhart created a series of works that explore these and other issues. Lockhart produced two film installations, a series of photographs, and an exhibition as a result of her extensive archival research and collaborations with the dancers. 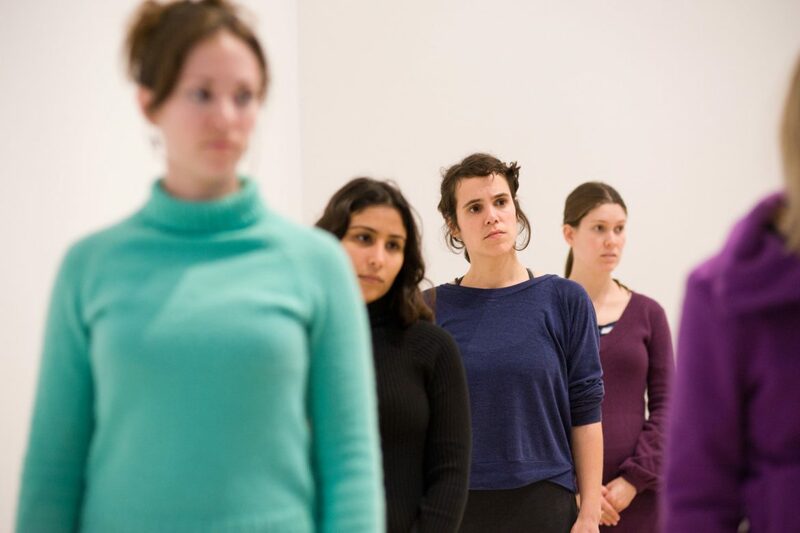 The exhibition is presented in two parts: one part is taking place at the Israel Museum and the other part is taking place simultaneously at the CCA. The center-piece of the exhibition at the CCA is Lockhart’s single-channel film installation Four Exercises in Eshkol-Wachman Movement Notation System (2011). 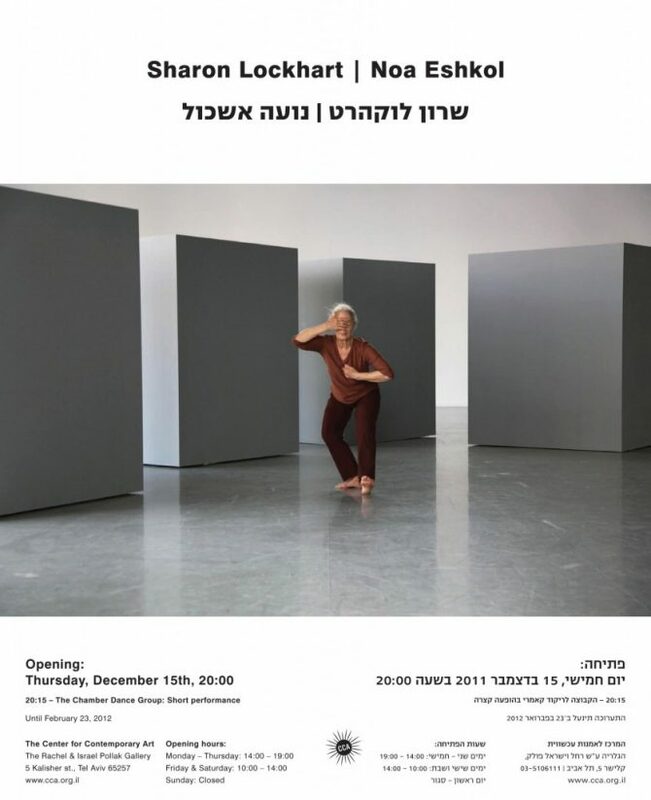 The film features Ruti Sela, a dancer who joined Eshkol’s Chamber Dance Group in the 1970s and worked with her for forty years. During her career, Sela has strived to perfect the execution of Eshkol’s dances. 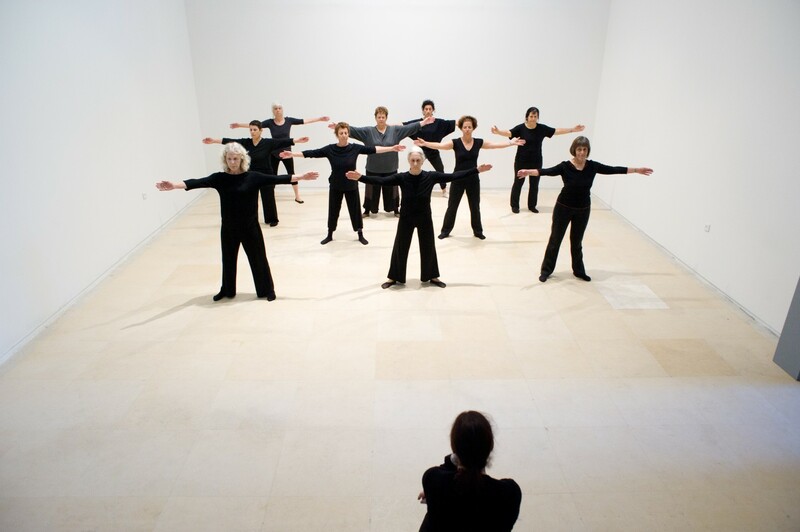 In the film, she performs four solo “exercises” (Eshkol believed that a “dance” began with two people) among four grey volumes designed by Lockhart. 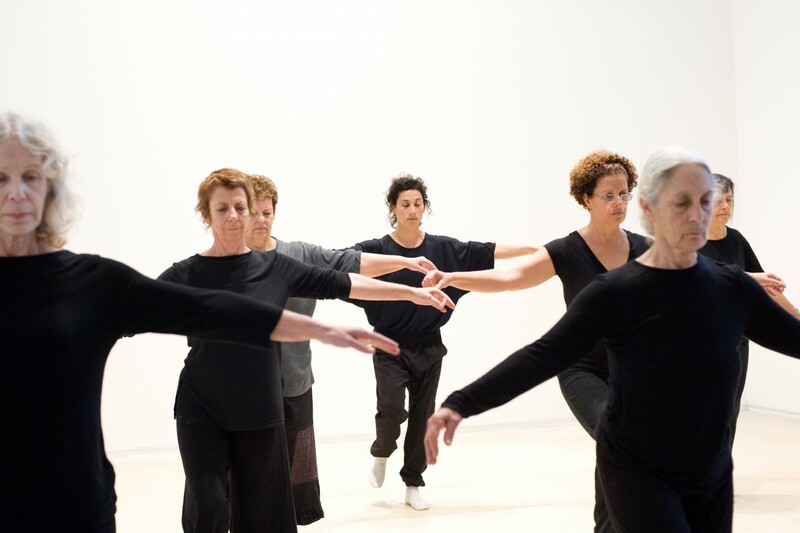 The term “exercise” emphasizes the pedagogical dimension of Eshkol’s practice, which is reflected in her lifelong dedication to teaching and her students’ lifelong dedication to learning. 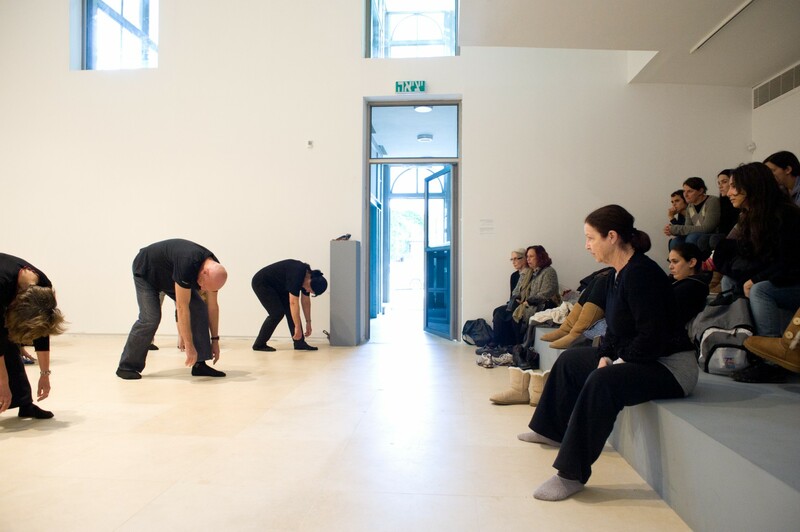 Lockhart references this dimension by transforming the CCA’s main gallery into a performative space where an ambitious series of performances, open classes, workshops, lectures, and film screenings will take place for the duration of the exhibition, highlighting the living aspects of Eshkol’s legacy. Rather than interpreting Eshkol’s oeuvre, Lockhart is engaged in a silent pas de deux with the living presence of a unique figure in the history of Israeli culture and the world of universal contemporary dance. During the exhibition the CCA is hosting many events, open classes and rehearsals, short performances, lectures and screenings. The film was produced with the support of Outset Contemporary Art Fund; The Muriel and Philip Berman Foundation; Ostrovsky Family Fund; Art Partners. The programs were made possible thanks to the generosity of the Weil Family. Special thanks to the Tel Aviv/Los Angeles Partnership – a collaboration project of the Jewish Federation of Greater Los Angeles, the Municipality of Tel Aviv-Yafo, and the Jewish Agency for Israel. Thanks also to Alex Slade, Meredith Bayse, Maia Gianakos, neugerriemschneider, Berlin, Gladstone Gallery, New York and Brussels, Blum & Poe, Los Angeles, Edna Moshenson, Daphna Jones-Jaglom, Yael Saharof. 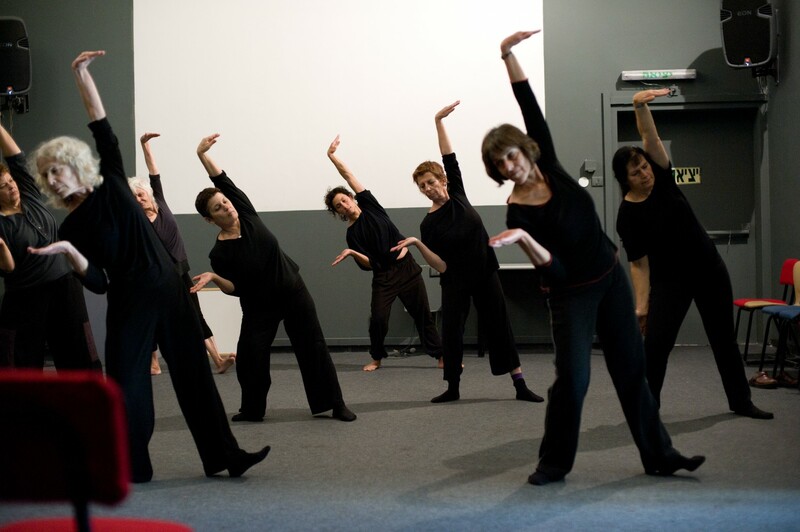 Our deepest gratitude to all members of Noa Eshkol Foundation for Movement Notation and in particular to Ruti Sela, Racheli Nul-Kahan, Michal Shoshani, Shmulik Zaidel, Mor Bashan and Noga Goral.